The 13th International Aviation and Space Salon MAKS-2017 is over. The Salon of 2017 has surpassed the indicators of 2015 in terms of exhibition and business program, the volume of transactions and the number of visitors. Business briefings and meetings held according to the MatchMaking system contributed to the rise in intensity of negotiations. The volume of contracts and letters of intent reached the amount of RUB 394 billion, and the business potential of MAKS-2017 exceeded RUB 600 billion. During six days of Salon’s operation, from July 18 to July 23, more than 452 thousand and 300 participants and guests visited the event and were able to observe the flights of eight aerobatic teams and 90 aircrafts. MAKS-2017 was opened by President of the Russian Federation Vladimir Putin. He addressed his salutary speech to organizers, participants and guests of the Salon: “The People of Russia have always been interested in the aviation development and space exploration. I can say straight away that it is a significant part of our common culture, and the history of national cosmonautics and aircraft engineering is our national pride…,” said Vladimir Putin. 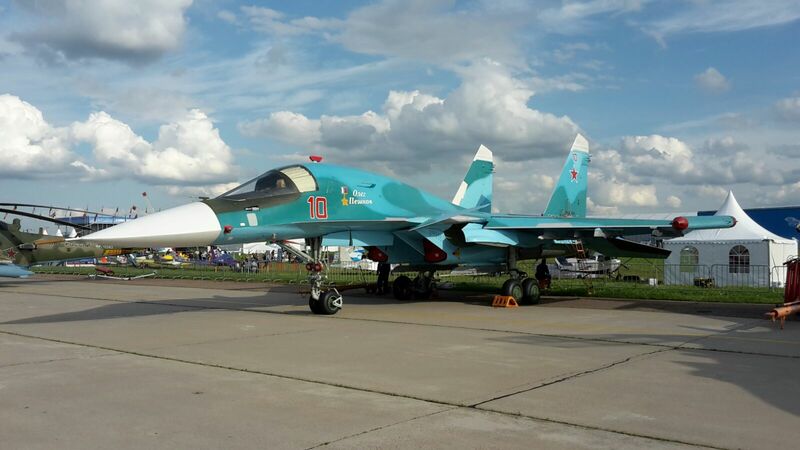 He also highly appreciated the status of the Salon: “…thanks to the persistence and talent of its organizers, every possible support of the state, MAKS has indeed achieved a high standard and has become an anticipated event for the devotees of aerospace engineering,” emphasized Vladimir Putin. In 2017 MAKS surpassed indicators of the previous salon by the number of exhibits and the global scale. More than 880 companies took part in the Salon, including about 180 foreign manufacturers from 35 countries. National pavilions of Germany, Italy, France, Switzerland, China, Czech Republic, Canada, Belarus, India, and Iran were formed. The exposition area exceeded 20 thousand sq. m. The collective “Made in Moscow” stand, embracing innovative enterprises of the Moscow Region, was presented at MAKS for the first time. More than 50 official delegations visited the event. More than 70 thousand visitors attended the Salon in the first three days, which were scheduled as the specialists’ days. Denis Manturov, Minister of Industry and Trade of the Russian Federation assessed the business outcome of the event. 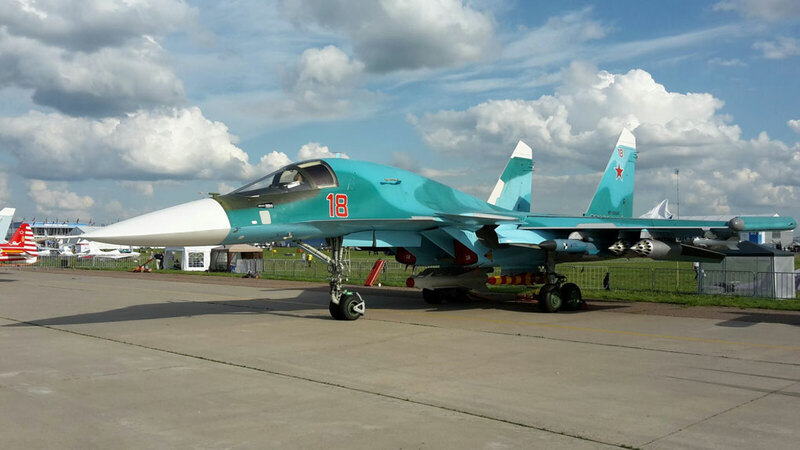 “MAKS-2017 provided the aircraft producers with a great backlog: the value of signed contracts and agreements for the supply of the Russian aircrafts is about RUB 400 billion. It is important that MAKS is becoming a business platform, participation in which is not only the matter of prestige but it is also an effective tool for partnership relations establishment. During three days of work negotiations using the MatchMaking system were held with participation of mainly small and middle-sized business,” said he. The business program included some innovations. For the first time business briefing meetings were held. During these briefings national aircraft producers – united Aircraft Corporation and Russian Helicopters Holding – presented their key civilian programs to potential partners and component parts suppliers. These events laid the foundation of further cooperation. Meetings were held using a new format of MatchMaking system, the program of which was formed in proactive mode by specialists of the contact center. On July 19–23 1,521 negotiations with participation of more than 1,027 companies were held in the Congress Center and at stand “Made in Moscow”. The polling of negotiation participants allowed assessing the scale of transactions concluded or negotiated during MAKS-2017. The estimated business potential of the Salon is more than RUB 600 billion, including signed fixed contracts and agreements of intent for the supply of national aircrafts to Russian and foreign operators and leasing companies for the amount of RUB 394 billion, agreements and memoranda on cooperation for the amount of RUB 171 billion, as well as negotiations on the supply of products for the amount of RUB 36 billion. The largest transaction of the Salon includes the fixed contract for the supply of 20 aircrafts Sukhoi Superjet 100 to Aeroflot—Russian Airlines and the contract for the supply into operative leasing of 16 airplanes МС-21 to Red Wings, including to liners with national engines PD–14. Besides the contract with Red Wings, Ilyushin Finance Co., the leasing company, concluded the agreement of intent with air companies VIM-AVIA, Alrosa, and Saratov Airlines, the carriers want to acquire into operative leasing 27 airplanes МС-21. In addition, Angara Air Company plans to operate three airplanes МС-21. The United Engine Corporation and State Transport Leasing Company (STLC) entered into the agreement stipulating purchasing of up to 50 airplanes Il-114-300. Azimut Air Company expressed intention to purchase four airplanes Sukhoi Superjet 100. 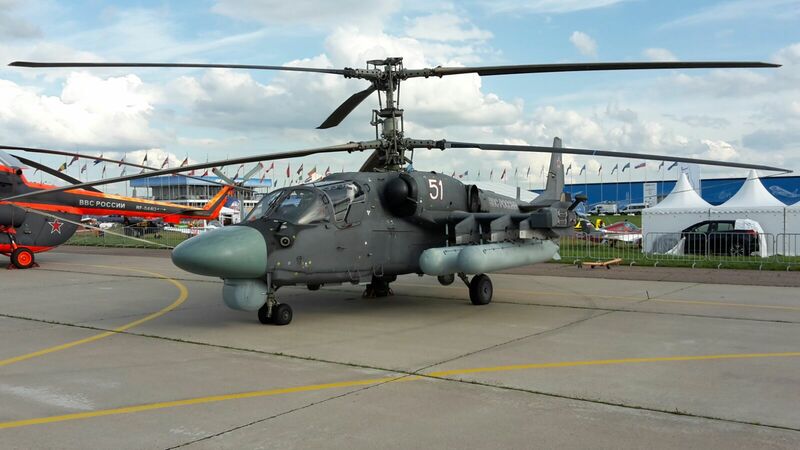 STLC also signed an agreement for purchasing of 12 helicopters Mi-8AMT, six Mi-171 and 12 Ansat. Russian Helicopter Systems will receive two Ansat helicopters in 2018. 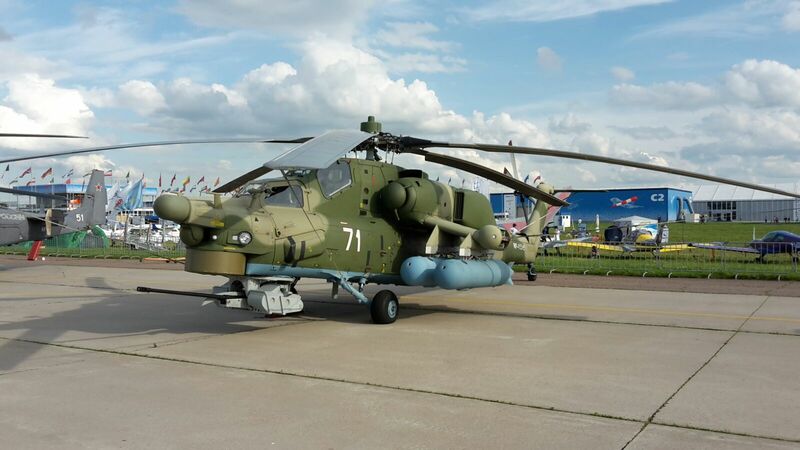 Customers from the People’s Republic of China agreed on purchasing of 13 helicopters of Russian manufacture, including four Mi-171, two Ka-32A11BS and seven Ansat helicopters. The management of Rosoboronexport signed about fifteen contracts and agreements of intent during MAKS-2017. More than 150 conferences, round-table discussions, briefings, seminars and presentations were held. The business program started with the second Eurasian Aerospace Congress attended by about 680 delegates. The events of MAKS-2017 afforded discussions on the mainstream of the aerospace sector, engineering and process innovations, challenges of the sector. Experts in the area of aircraft engineering and air drones shared their view of development prospects of the market. The central themes of discussions included prospects of industry digitalization and transition to “Production 4.0”, and issues of human resource development. On June 21 MAKS held “Student’s Day”, arranged by Aviasalon LLC. 8,300 of young people used the opportunity to see the exposition, observe the flights and get information on the enterprises in the sector. On this day the vacancy fair of leading enterprises of the aviation industry and rocket and space complex was held at the exposition of “Academic Science and Air-Technical Creativity of the Youth” Section. 12 employers placed the information of their vacancies. Russian and foreign mass media gave a broad coverage of MAKS-2017. The total number of accredited journalists was 3,070, representing 570 national and 197 foreign printed media, including 32 Russian and 23 foreign TV channels. 151 thousands of subscribers followed the news in official accounts of MAKS-2017 on social networks. The estimated audience coverage is 1.6 millions of users. 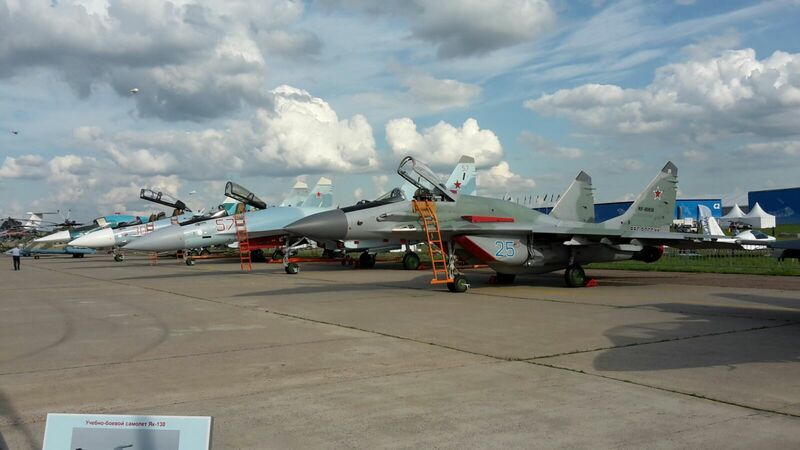 Traditionally, the flight program, participated by 90 aircrafts, aroused strong interest of visitors of the air salon. During six days, pilots of eight aerobatic teams demonstrated their skills. 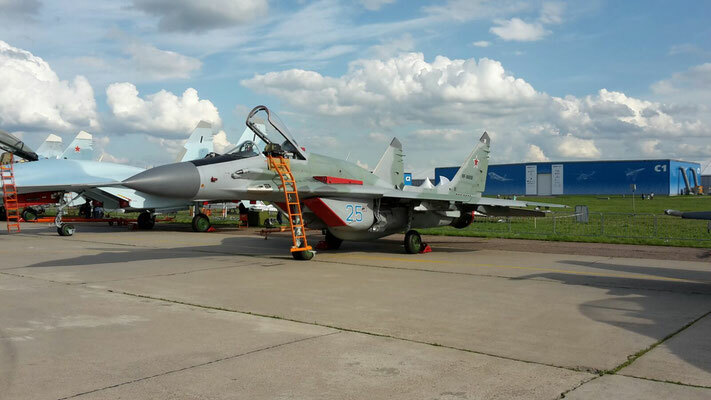 Russian Aerospace Forces were represented by teams of the Russian Knights, the Swifts, and the Falcons of Russia, Russian aerobatic teams Rus’, the First Flight, and Chelavia Team, as well as foreign guests Fursan Al Emarat (UAE) and Baltic Bees Jet Team (Latvia) took part in the flights. In 2017 the air salon saw a number of premieres. The novelties, which had never been displayed at international exhibitions, included the static presentation of fighter aircraft MiG-35, which belongs to 4++generation, and helicopter Mi-171Sh-VN, intended for special operations. 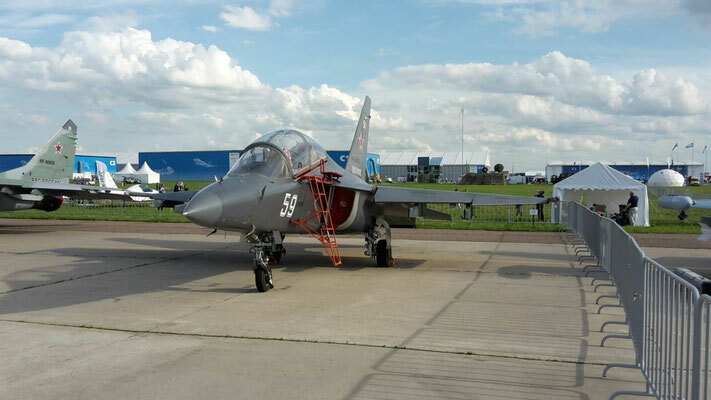 For the first time the program of demonstration flights included the flight of trainer aircraft Yak-152 and attack helicopter Mi-28NE. 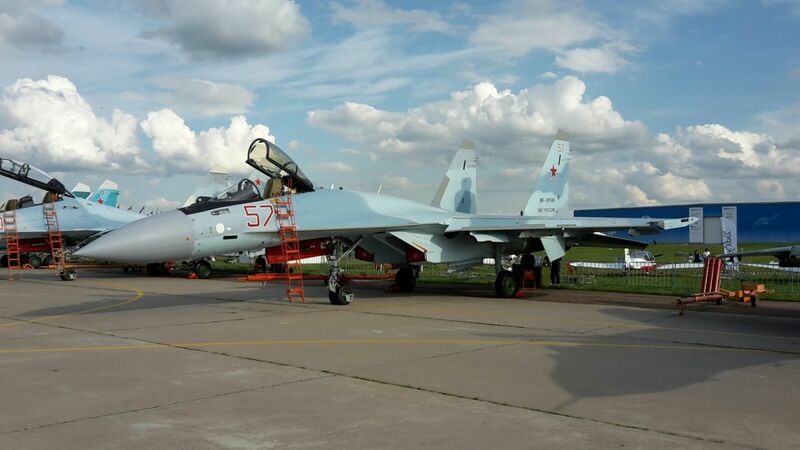 All-composite multi-purpose aircraft TVS-2-DTS and agricultural airplane T-500, which performed their flights during the air salon, were also introduced to the wide public for the first time. The static platform presented 116 aircrafts. MAKS-2017 is a long-awaited festival for all aviation devotees. The total number of visitors over the six days is 452,300 people, which proves its leading positions among the largest international air and space salons. Mostransavto provided comfortable and operative transportation of participants and visitors of the Salon. The total number of buses was 552. Three special routes were arranged during the days of business visits and on the days of mass visits the number of routes was increased up to seven. Visitors had an opportunity to get from railway platforms “Otdykh” and Pl. 42nd km, intercept parking “Bykovo” and stations in Zhukovsky, to check points of the exhibition complex. The railway communication arranged by the Central Passenger Suburban Company on the public days was intensified with eight routes, and 82 pairs of additional electrical trains were added at weekends. Seven parking areas for 7.35 thousand parking places were arranged for visitors coming by car, as well as free intercept parking “Bykovo” for up to 12 thousand cars. Sufficient assistance in events of MAKS-2017 was provided by 300 volunteers from among students of the Moscow Region. The visit to the air salon for 145 physically challenged people was arranged. 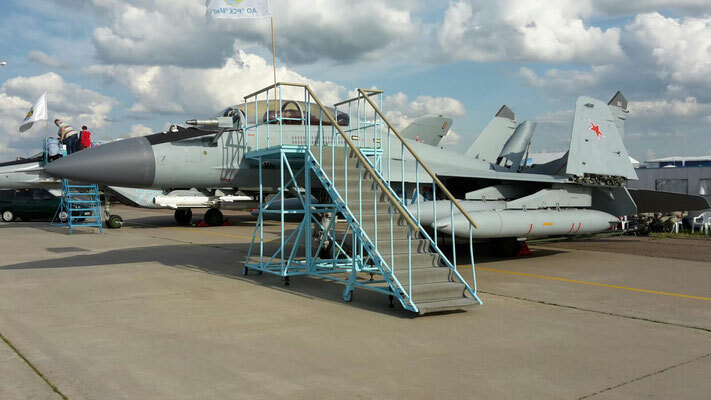 The public and anti-terrorist safety at MAKS-2017 in the territory of M. M. Gromov Flight Research Institute and the urban district Zhukovsky was safeguarded by 2,500 officers of police, Federal National Guard Troops Service, EMERCOM and employees of private security company and departmental security service. The air monitoring of the exhibition complex was provided by the helicopter and the air-balloon; two patrol boats were on duty on the Moskva River. No emergencies or administrative offences were recorded during the work of the Salon. 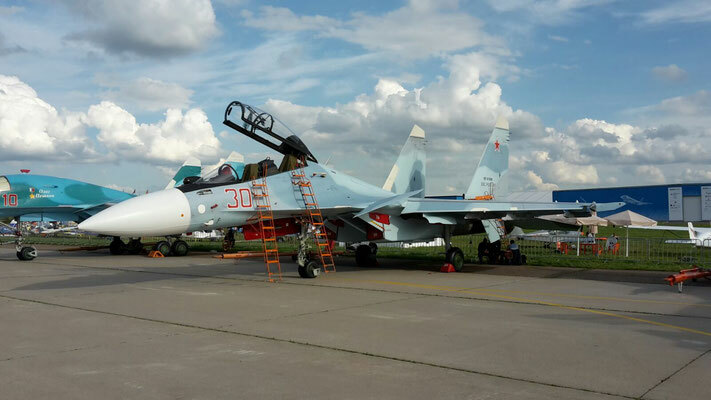 The International Aviation and Space Salon MAKS-2017 was organized by the Ministry of industry and Trade of the Russian Federation and Rostec Corporation. An official sponsor of the Salon is Aviasalon LLC. Press release by Maks, pictures by Stefano Polato.